Well, that was 2017. Apart from this post, it’s been completely blog free and I’m OK with that. Instead of worrying about keeping up with other people and joining in with every craft-along or instagram photo-a-day, I’ve done my own thing. I managed to read 20 books and exceeded my target of 18. Admittedly it was mostly chick lit and Harry Potter short stories, but I made time for reading and enjoyed it, which is what reading is supposed to be. I have been crafting. 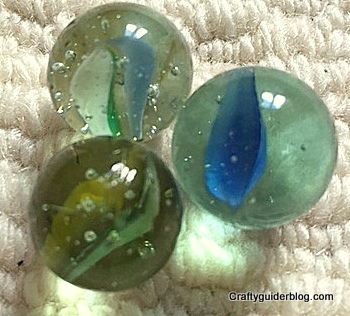 I’ve caught up on some craft projects that were years old, and some craft kits that were only hours old. 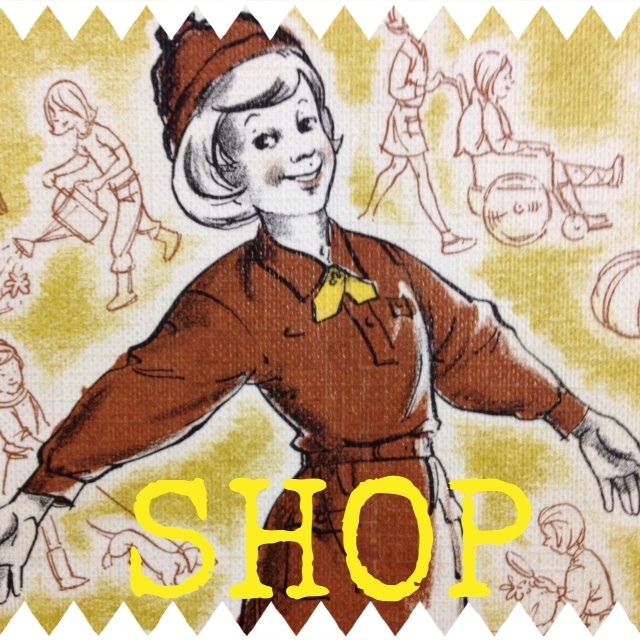 I still need to get lots of things completed (or started having bought all the stuff in preparation! ), and I’ll try and make time for those in 2018. I also need to make huge inroads into my scrapbooking, and my Trefoil Guild Bronze award must be finished soon. Just one clause to go. One thing that has held back my creativity is the amount of stuff I have. The clutter means that I don’t have room to create to use up the stuff that is taking up all the room! I have made an effort to declutter and I’ll carry on. I just need to figure out what I can do with everything I’m getting rid of. I’m not going to attempt to Kon Mari my life. 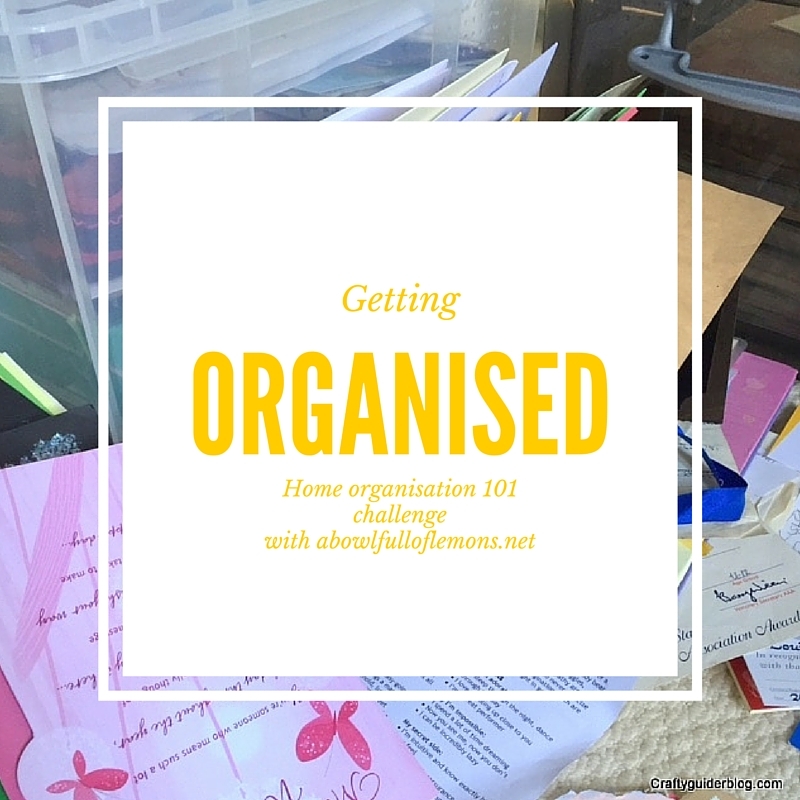 My aim for 2018 is to gain sole control of the office as my craft room, and to be able to contain all the craft materials spread all over the house in there. My volunteering has expanded this year. As well as my Guide unit and WI committee responsibilities, I’ve also opened a Brownie Pack. 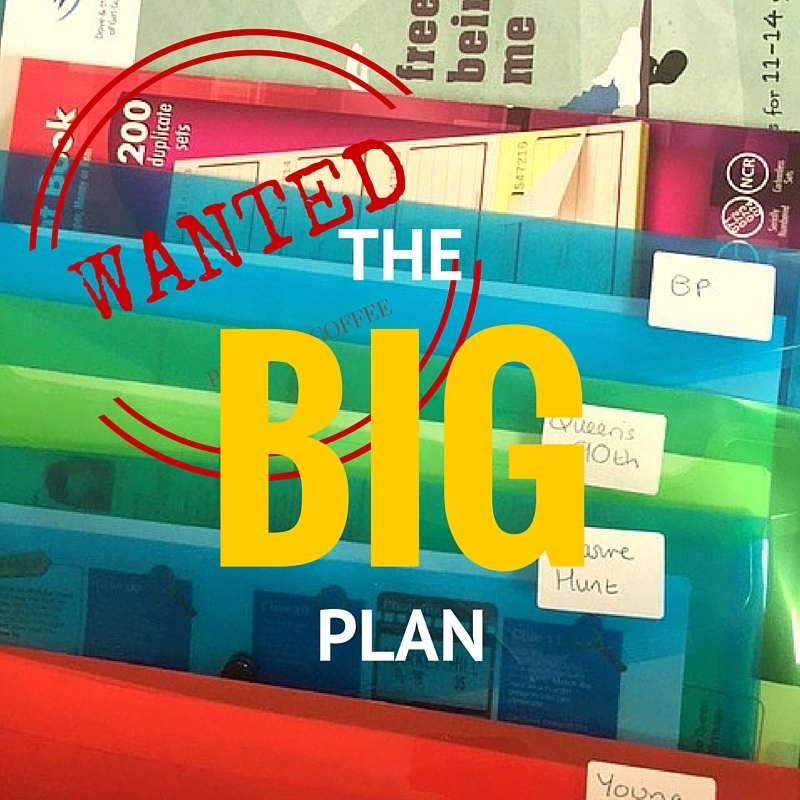 Towards the end of the year, I was just snowed under with paperwork, running workshops, organising meetings and everything else life threw at me. I need to get that under control and stop over-committing. Further changes in 2018 need to be to waste less and accumulate less. Can I lose weight and get healthy too? Wishing everyone a fabulous 2018! So 2016 on the blog didn’t go as well as I’d hoped. Attending a blogging conference completely killed my drive instead of inspiring me to achieve more, but I want to celebrate successes, and perhaps go on to achieve other things in 2017. I last visited the Goodreads 2016 reading challenge in March when I’d read 4 books in 2 months. Things slowed from then, and I reevaluated what I actually WANTED to read rather than what I felt I should. One of the books took a long time as I didn’t really enjoy it (The House at the Edge of the World), but I managed to get 12 books read and I’m really happy. A book adapted into a film – Helen Fielding – Bridget Jones’s Baby: The DiariesThe categories of books I didn’t read were a classic read, a book recommended by a librarian, an award winning book, a book I should have read at school, and a Goodreads recommendation. I guess Chick Lit is my thing. A bit of easy reading escapism from all the demands on my day. 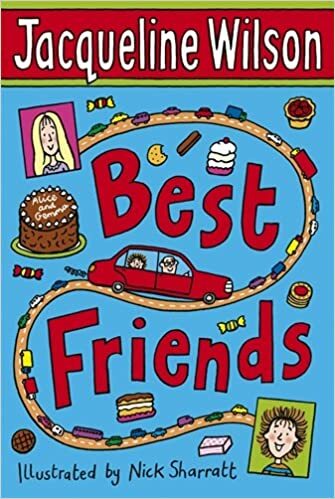 My favourite reads were My Life in Houses (my brother went to primary school with one of Margaret Forster’s children and I remember going to their house to pick him up after a birthday party), Bridget Jones’s Baby (I still haven’t seen the film), and Christmas at the Little Beach Street Bakery. I also enjoyed The Wolf that Never Sleeps, although it wasn’t very well written. The Guiding/Scouting history was very interesting, although I preferred Olave Baden-Powell’s autobiography, Window on my Heart. 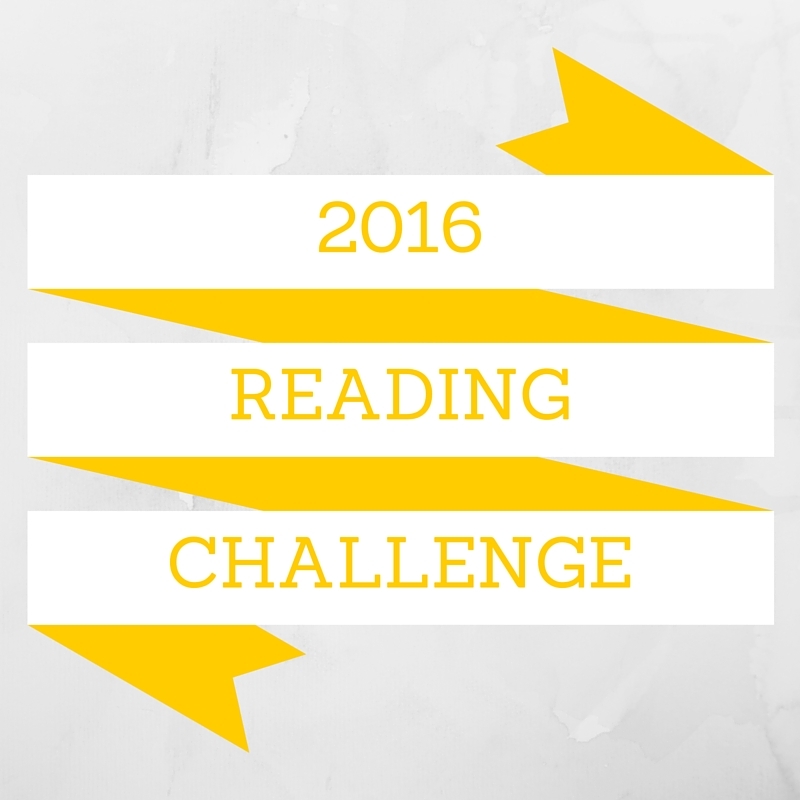 I will be doing the challenge again in 2017 as reading is something that gets me away from the TV and laptop. Perhaps I’ll hoover up some of the categories I didn’t get around to in 2016, or perhaps I’ll just choose books I’ll enjoy. Whatever happens, I’ll be reading and that’s the important thing. 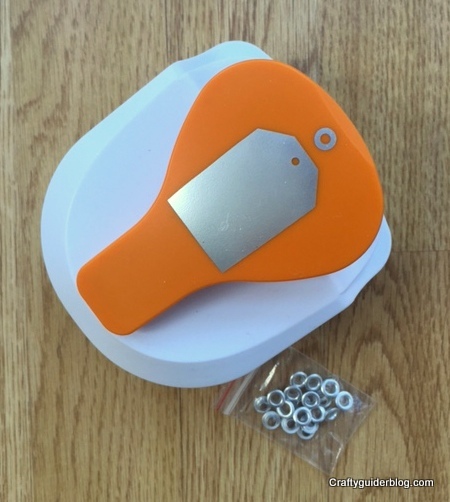 I have been looking for a tag maker for some time but haven’t been able to find one I trusted with the dimensions I wanted. Watching the new series of Crafty Beggars in the House! 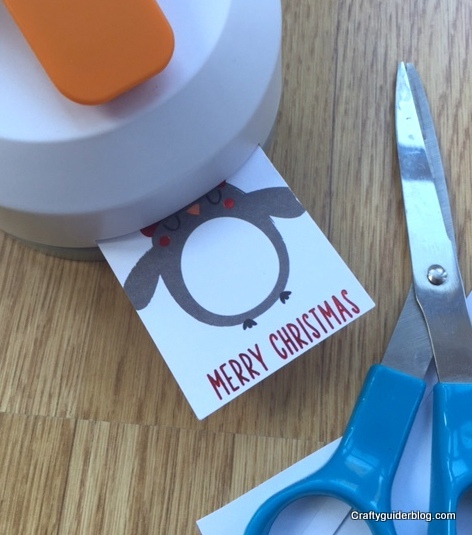 on the Community Channel, I saw them use some Fiskars tag punches to upcycle some cards – exactly what I needed! I bought mine from Amazon and chose the Simple design as I like the shape. 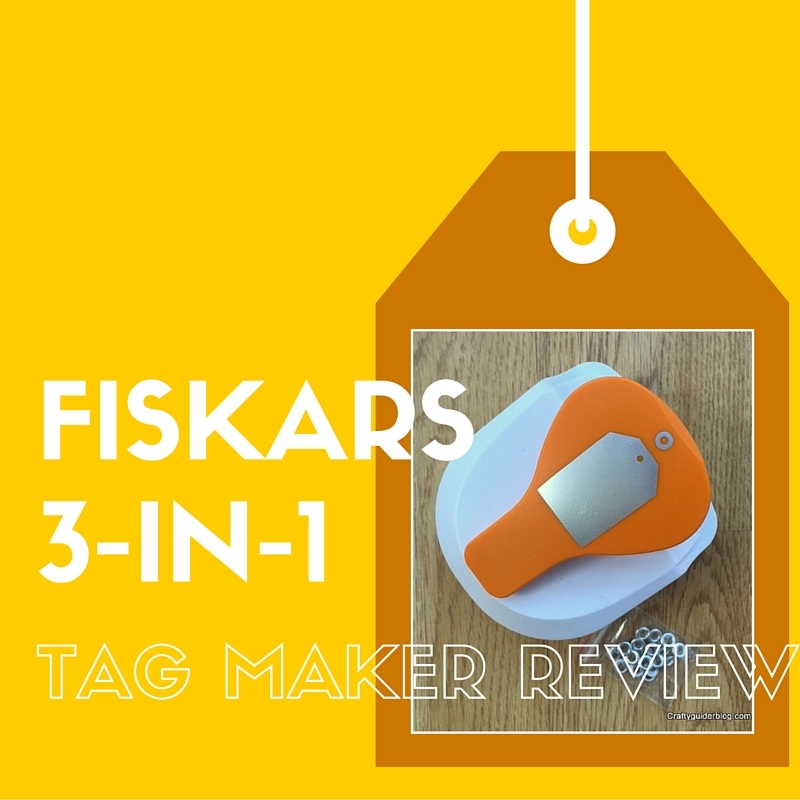 The tag punch is substantial and sturdy – what I expect from Fiskars – and comes with 20 metal eyelets. 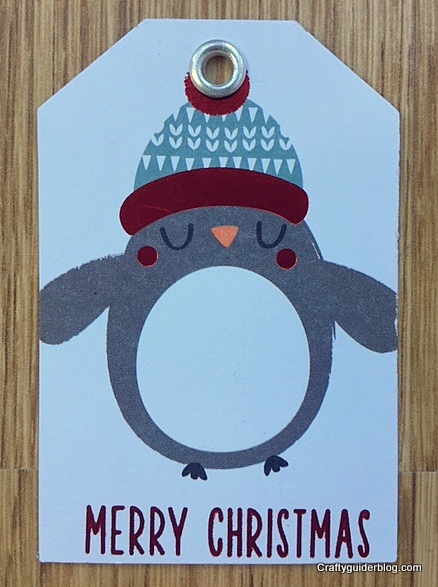 I have a large stash of last year’s Christmas cards and set to work on them to make some tags for this Christmas. 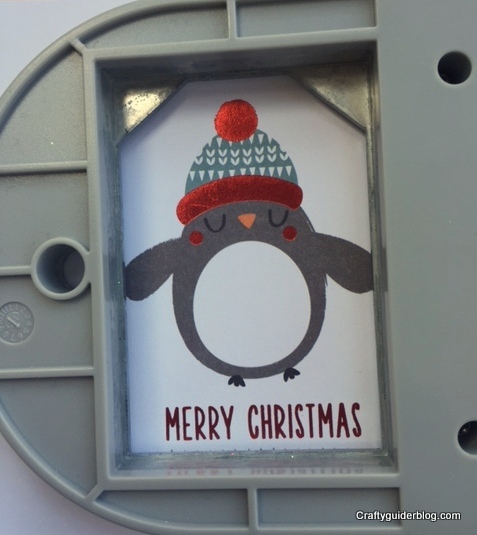 Having selected the area of the design to use, I trimmed the card so that I could get the punch in the right place. With punches, I always find that turning the whole thing upside down and viewing the design through the aperture gets it cut out accurately. 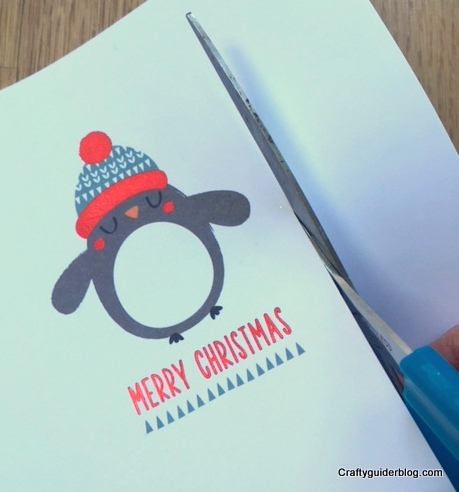 The punch cut through really easily, even on cards with glitter or cards with textured finishes. 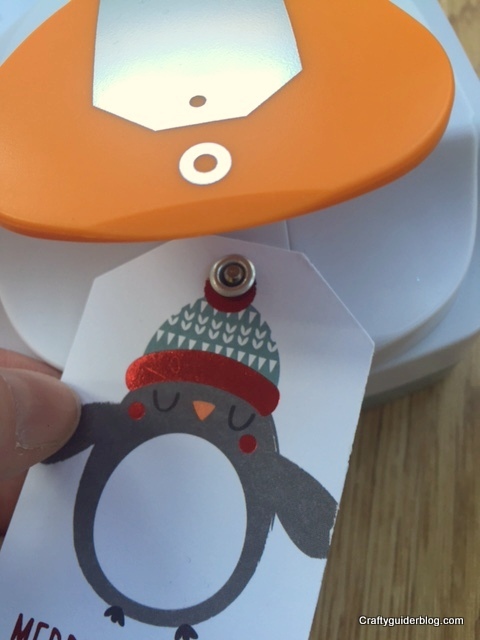 Once the card is cut, there is another slot to put the tag into to get the hole cut accurately. Right on the pompom! The tags can be left like this with ribbon or string threaded through the hole (as a good Guide leader, I use a cow hitch or lark’s head knot). The pack also comes with metal eyelets which can be used to reinforce the hole and make a really professional finish. Simply feed the hole in the tag over the post under the handle, add an eyelet and squeeze. It doesn’t feel like you are doing much and that you need to press harder, but the eyelet attaches really easily. I am never throwing away a card again. 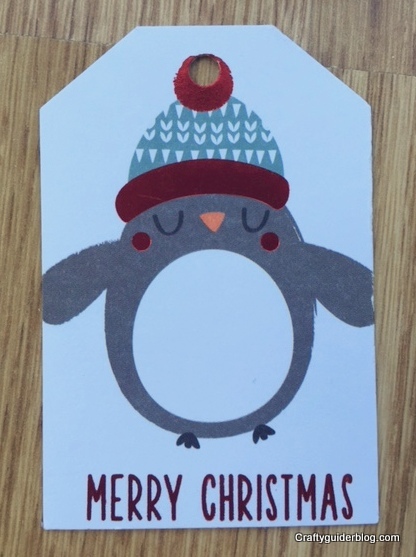 I had some cards that I’ve used to make birthday tags, as well as the Christmas tags. I also have my eye on youngest Craftyguidelet’s birthday cards at the moment, and they will be going through the punch as soon as they come off the mantelpiece. I think this lot will get me though next Christmas, and all for just the price of the punch and a bit of twine. 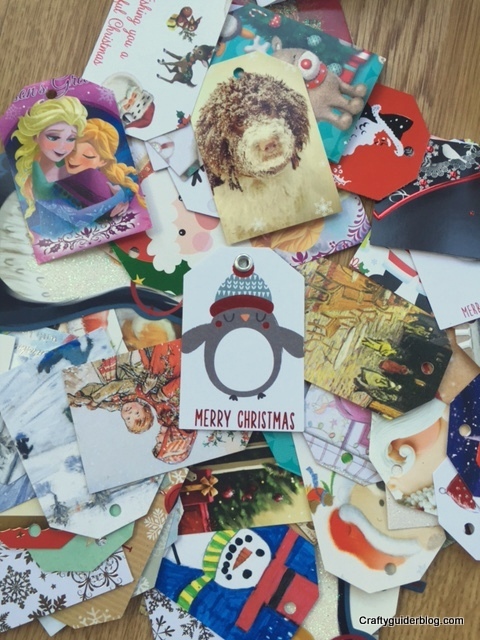 I also have plenty of card in my stash to get me through every possible occasion outside of Christmas so if you need me, I’ll be punching tags out of whatever will fit in the machine! Disclaimer: I own this punch and I haven’t been asked to review it, or been paid to review it. 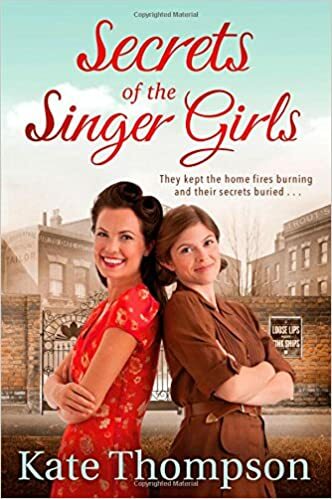 All opinions are my own, and I have added some links to the normal Amazon site where I bought mine. They are not affiliate links and I don’t get any money if you click on them. I’m halfway through my organising journey with A Bowl Full of Lemons and I thought I’d reflect on how I’ve done so far. The kitchen and utility room are still organised. I just need to train the other members of the family to put things away in their new homes (or just put things away!). We’ve bought a basic IKEA TROFAST unit to store our recycling in, so that the first thing you see when you come in the front door isn’t baskets of paper and plastic bottles. Mr CG painted it cream to match the cupboards and it’s working well. This was my first unfinished task. I was ill this week and the photos I dragged out of the cupboard for sorting sat on the side for weeks. 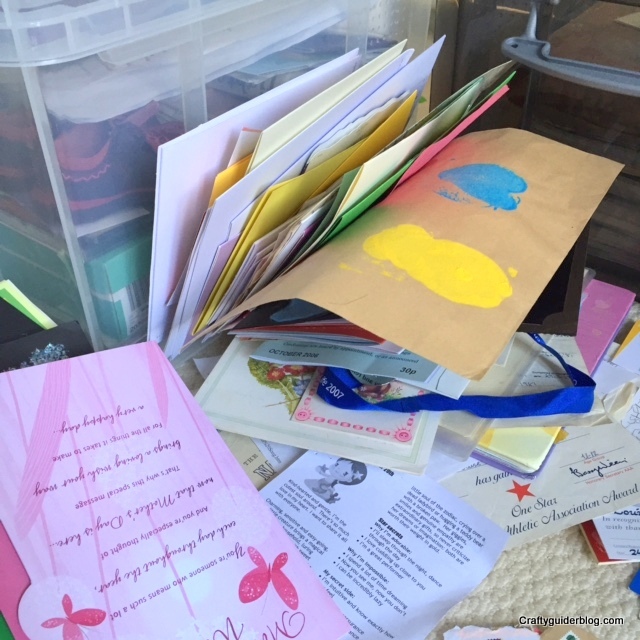 I’ve sorted through a few, but the dining room/Craftyguidelet craft room is a huge job. Back to success. We bought a 2×2 KALLAX unit from IKEA with 4 baskets so there’s one space for each member of the family. The Craftyguidelets are getting good at storing away their shoes, gloves etc. so there is less “Mummy, where’s my other shoe?” going on in the mornings. I’m usually quite good, but Mr CG needs training up. This was my week off due to a chaotic volunteering week. The living room is OK apart from my sofa which is usually covered (and surrounded by) admin, magazines, craft projects etc. I still have a magazine mountain to sort, but I’ve started trying to manage my admin using The Sunday Basket idea. Now my wardrobe is organised, I have somewhere for my WI and Guide bits to go, and I’m getting through the magazines faster than they come through the door. There are a couple of accumulations of papers starting, but I can have people over without worrying about the state of the place. To boost my resolve for future weeks, my bedroom looks great now. Anything that hangs around starts to bug me really quickly so I want to put it away. We are now thinking about a new carpet to replace the shabby, nail varnish stained cream one we were left by the previous owners. I also need to start making some new clothes that actually fit and suit me to fill the gap in the wardrobe. Unfortunately I find myself banned from the girls’ wardrobes as it’s their normal hiding place for presents. So with Mother’s Day coming up this Sunday, I don’t get access until next week. I’ve started trying to sort out the office/craft room instead, so if anyone can lend me a large warehouse to use as a craft room, I’d appreciate it! 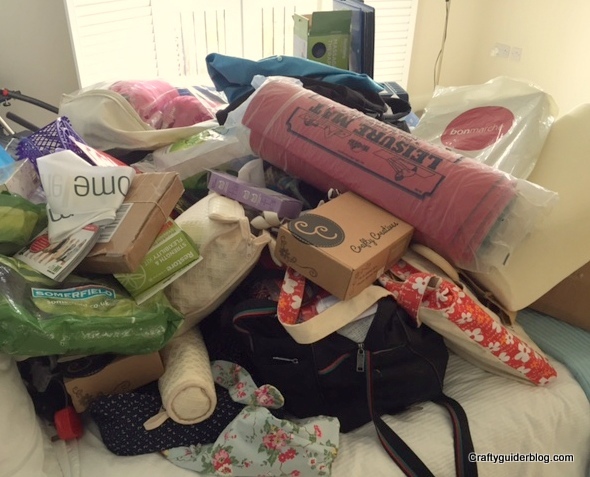 It’s the linen closet for week nine of the challenge which I think will be easy to sort out. Famous last words? I am lucky that I have a large wardrobe all to myself. As someone who rarely buys new clothes and can trace some of the items in her wardrobe back 20 years, you’d think that sorting it out would be a breeze. All I can say is, oh help! This is just MOST of the clutter that lives in my wardrobe. What you can’t see in this photo are my clothes, shoes, spare sewing machine, guitar, and FIVE Really Useful Boxes of family memories. With everything out of the wardrobe, it got a good clean and I enjoyed a brief look at the clutter free space *deep contented sigh*. The easy part of the tidy was sorting through the clothes. Out went everything that didn’t suit me or would never fit even with the best diet in the world and industrial strength Spanx. The shoes have practical storage boxes so they were stacked up on the floor of the wardrobe, and all the other clothes were returned in a vague order to the hanging rails. Clothing for camp plus anything that doesn’t get used often was stored under the bed, and my camp bedding plus my spare camp bedding were stored in zip up storage bags and put on the top shelf. Next, two of the memory boxes containing school books were relocated to the Craftyguidelets’ bedrooms and the other three were put back into my wardrobe. My Guide bag was allocated a shelf and everything else was put into piles – craft, bags, WI, Guides, sports stuff, books and other stuff. Craft stuff was moved to my over-stuffed office/craft room to be fought over another day, WI stuff was allocated a shelf in the wardrobe, books moved back downstairs and everything to be kept was found a home. I now have a tidy bedroom and a tidy wardrobe. Mr CG managed to part with some shoes and a few clothes as well so another success. 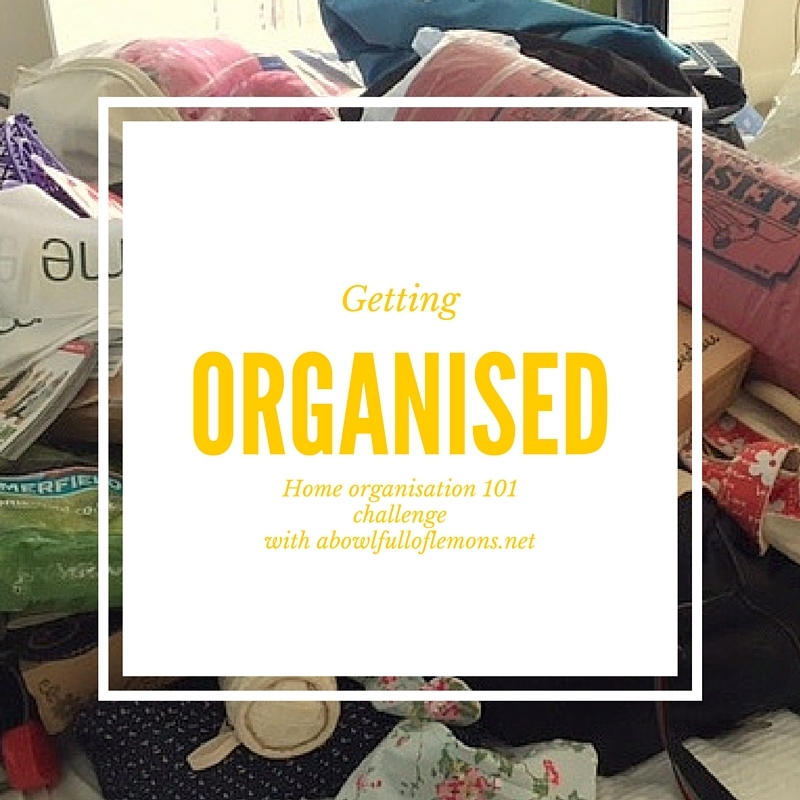 This week on the A Bowl Full of Lemons blog the organisation challenge is Kid’s Closets. Littlest Craftyguidelet has just had new bedroom furniture so her wardrobe is pristine. Eldest needs her one sorted out though so that’s my challenge now, but not until she’s out of the way at school! Are you still on track with your Spring cleaning? 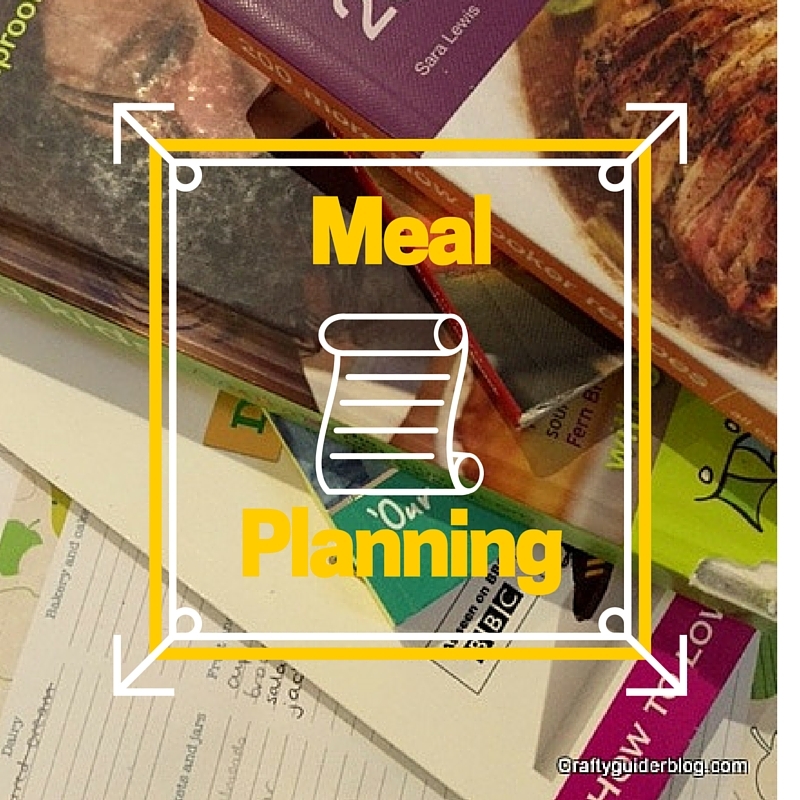 No Meal Planning Monday post last week as I was having a bit of a blogging break. I did have a meal plan though, and we had a freezer dive week. As I’ve mentioned before, I store a lot of things in my freezer so I can batch cook meals and get longer shelf life from food. Unfortunately this led to a lack of space for staples like bread and frozen veg, so a purge was in order. We’ve feasted on pizza, fish, sausages, pie and all sorts of yumminess, so although my slimming world plan has gone to pot, I can now see what I’ve got in there. This week we are going for something simple again. 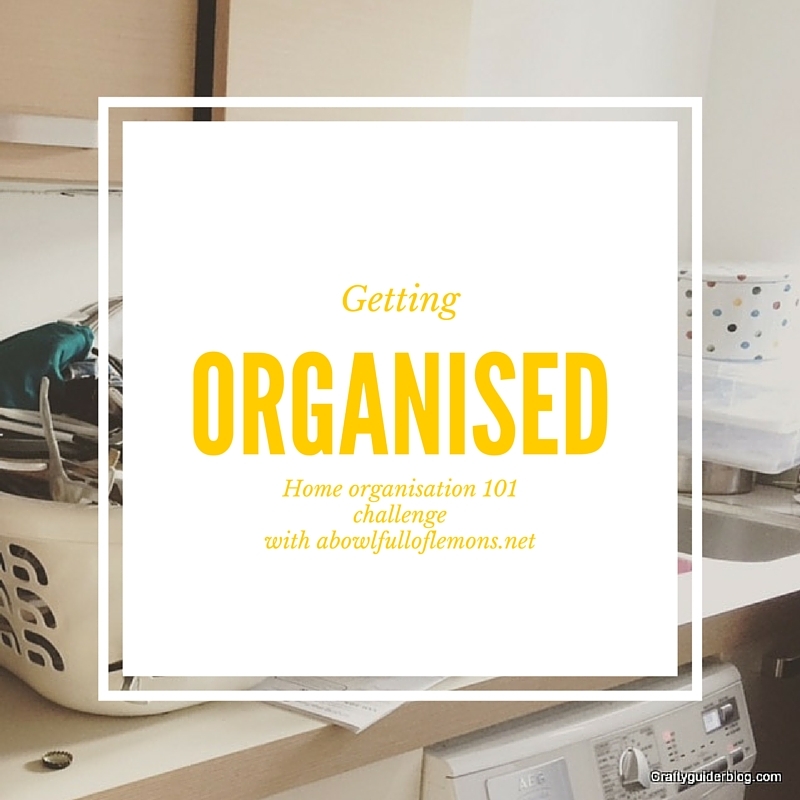 After a calm half term, volunteering and mum cabs duties are ramping up again, and I need to get my organising back on track. And to all my Guiding followers, a happy World Thinking Day to you all!